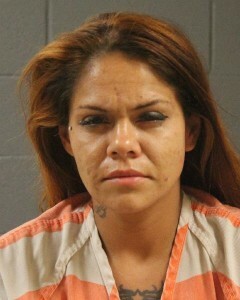 ST. GEORGE – Police arrested a 30-year-old man and woman Tuesday night after the two were allegedly seen at a gas pump shooting up heroin inside a vehicle that was later determined to be stolen. 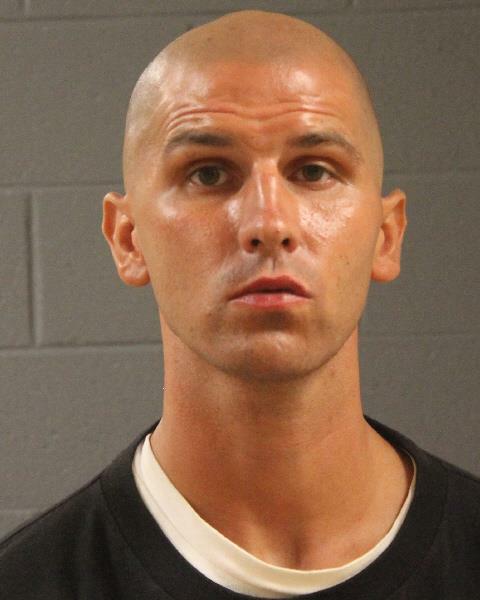 Officers responded to the Pilot Travel Center, located at 2841 S. 60 East in St. George, where a witness reported seeing a man in a car “shooting up heroin,” according to probable cause statements written by St. George Police Officer Nick Garcia in support of the arrests. The vehicle then left the gas station, heading north on Interstate 15. The vehicle was located by police shortly thereafter. When officers ran the license plate, it was flagged as stolen out of Phoenix, Arizona. Police initiated a traffic stop on the vehicle and spoke with the driver, identified as Drew Paul Neiertz, of Overland Park, Kansas, and the passenger, identified as Christina Lyn Connors, of Glendale, Arizona. During this time, a police narcotics K-9 was deployed on the outside of the vehicle, the statement said, and indicated the presence of narcotics in the vehicle. Officers discovered heroin, cocaine, a glass pipe and syringes during a search of the vehicle, according to the statement. While Connors told officers the heroin in the car’s center console belonged to Neiertz, Neiertz denied knowing about the heroin. Inside Connors’ purse, police located a glass pipe with residue that tested positive for cocaine, along with an Arizona identification with the name Adriana De Jesus Lucero, according to the statement. Connors told police she knew the ID was in her purse and admitted it did not belong to her. Both Neiertz and Connors were arrested and booked into the Washington County Purgatory Correctional Facility. Neiertz was charged with a second-degree felony for theft by receiving stolen property, a third-degree felony for drug possession, and a class B misdemeanor for possession of drug paraphernalia. During Neiertz’s initial court appearance before the 5th District Court in St. George Thursday, Judge John Walton ordered his bail set at $10,000. The Judge also found Neiertz to be indigent and appointed attorney Jay Winward to represent him during his second court appearance Monday. Connors was charged with a second-degree felony for theft by receiving stolen property, two third-degree felonies for drug possession, a class A misdemeanor for possession of another’s identifying documents, and a class B misdemeanor for possession of drug paraphernalia. Walton ordered Connor’s bail set at $20,000 during her initial court appearance Thursday. Connors was also found indigent by the court and will be represented by court-appointed attorney Douglas Terry. Nah they don’t look high at all… Idiots!